Writers & Books today announced “The Distance Between Us” by award-winning novelist Reyna Grande as the selection for the 2018 Rochester Reads program. Grande will be in Rochester March 28 to March 30, 2018, to participate in readings, book signings, and other appearances at various locations in Rochester and the surrounding region. Through her 2012 memoir, Grande sheds light on the experiences of many young immigrants. Born in rural Mexico, she illegally crossed into the US at age 10 with siblings and other family, pursuing her parents who left the children behind with an inattentive abuela. Despite having to navigate the special hardships of undocumented life, Grande earned success as a student — she was the first in her family to earn a college degree — and author. 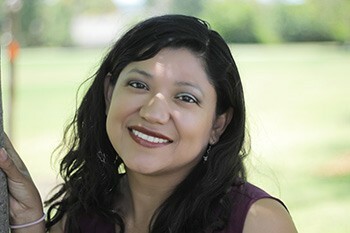 Grande won the American Book Award and the El Premio Aztlán Literary Prize for her 2006 novel, “Across a Hundred Mountains,” and her second novel, “Dancing with Butterflies,” won the 2010 International Latino Book Award. 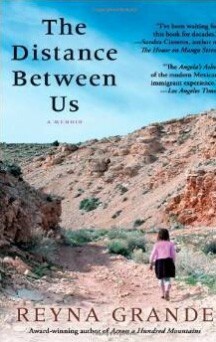 “The Distance Between Us,” was a finalist for the National Book Critics Circle Awards for Autobiography, and in 2015 Grande was awarded the Luis Leal Award for Distinction in Chicano/Latino Literature. "The Distance Between Us" is currently available for purchase at Writers & Books (with a 20% discount through October). For more information about the book and related events visit wab.org. The 2018 selection for the "Rochester Reads" program.